Agriculture Secretary Tom Vilsack invited agricultural producers to apply for grants to increase the value of their products. "Producers can greatly enhance the bottom line of their businesses and improve their economic prospects when they improve the value of their products, thus expanding their markets and customer base," Vilsack said. "The Value Added Producer Grant program (VAPG) has a proven track record of doing just that and I am pleased to announce that we are inviting producers to apply for these grants by the deadline. The funds in this program enable America's farmers, ranchers and rural business owners to find ways to expand their product offerings, revenue streams and create more economic opportunity by bringing additional value to what they already produce." Applicants have until October 15, 2012 to apply. Vilsack emphasized that far too many producers are missing out on significant economic opportunities when their products are enhanced further away from the farm. "When our producers keep their value-added activities closer to the farm, it not only improves their bottom line; it strengthens our rural economy and strengthens our rural communities." USDA Rural Development is making up to $14 million in grants available for projects that help farmers and ranchers produce bio-based products from agricultural commodities. The grants, which are competitively awarded, are available for planning activities or for working capital expenses, but not for both. The maximum grant amount is $100,000 for planning grants and $300,000 for working capital grants. Generating new products, creating and expanding marketing opportunities and increasing producer income are the goals of the VAPG program. For example, Unruh Greenhouse LLC in West Union, Iowa received a VAPG working capital grant to process and package local produce for nearby grocery stores, universities and hospitals. Schmidt Farms Inc. in Rawlins County, Kansas received a working capital grant to expand the market for their product lines which includes beef, chicken, and eggs. 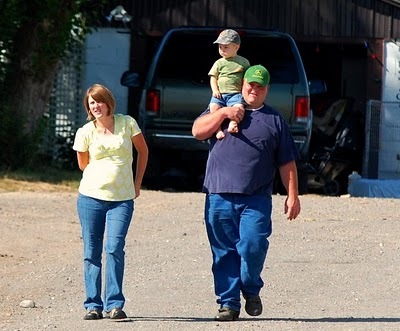 The company is a family farm that has been in the meat business for the last 25 years. They have been marketing their home grown beef directly to customers. Schmidt Farms is building and expanding the market not only for their beef, but also for their chickens and eggs. The product lines will be marketed as being produced locally and produced farm fresh. Beef produced is promoted as being all natural and chickens as being free range and antibiotic free. Businesses of all sizes are encouraged to apply, but priority will be given to operators of small and medium-sized farms or ranches that are structured as family farms, beginning farmers or ranchers, or those owned by socially-disadvantaged farmers or ranchers. Grants are available for projects up to 36 months in duration. For information on how to apply, see page 48951 of the August 15, 2012 Federal Register, by clicking here.